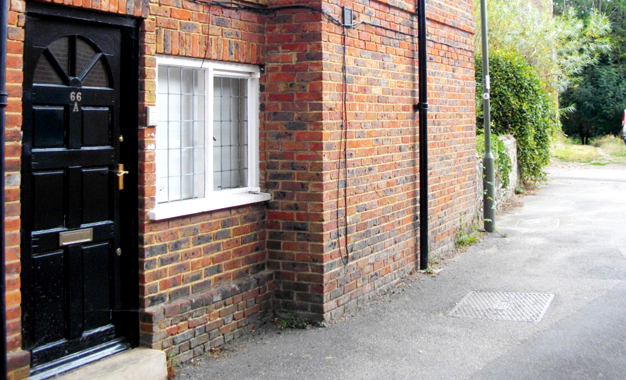 Gascoignes Commercial Offices to let and for sale | 66 A, High Street, Haslemere. GU27 2LA. Situated in an attractive period building, the subject comprises a single ground floor office unit of approximately 485 sq ft, sub-divided into a reception area, two separate offices with separate WC/Cloakroom and small kitchenette to the rear. Rear yard with parking for two vehicles. The property is situated at the northern end of the High Street on the right hand side in between Henry Adams and Gascoigne Pees Estate Agents. Haslemere is an attractive old country town nestling between wooded hills in the southwest corner of Surrey where it borders onto West Sussex and Hampshire. It has excellent road (44 miles via the A3) and rail links to London (fast service to Waterloo Station 50minutes), the ferry port of Portsmouth (26 miles), Gatwick Airport (40 miles) and Heathrow Airport (40 miles). 66A, High Street, Haslemere. GU27 2LA.